Northrop Grumman’s E-2D is a game changer bringing new sensor, command and control, and integration capabilities to the fleet, revolutionising the way AEW&C and BMC2 platforms will be used. 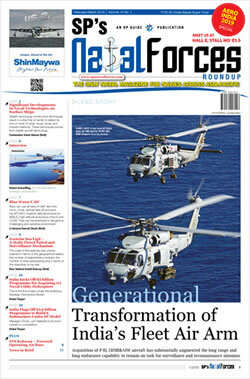 James Culmo, Vice President, Airborne Early Warning/Battle Management Programmes, Northrop Grumman Aerospace Systems in an interview with SP’s Naval Forces outlined the features of the latest version of the Hawkeye programme. SP’s Naval Forces (SP’s): Can you elaborate on the special features of E-2D—the latest version of Hawkeye programme? How different it is compared to its predecessors? James Culmo (Culmo): Through the years, the E-2 Hawkeye has undergone several configuration upgrades. Building on this legacy of providing world-class airborne early warning and control capability, the E-2D advanced Hawkeye features completely redesigned aircraft systems, a state-of-the-art APY-9 radar and a new glass cockpit. All E-2Ds are newly manufactured aircraft based on a proven airframe in a proven platform which is capable of both long-range shore operations and carrier-based operations as well. Evolving the mission sensors with new technologies and capabilities affordably brought a new, state-of-the-art system without having all the challenges of designing a new platform. The E-2D’s upgraded systems and capabilities advance the mission and provide a seamless stream of information between the key assets of the fleet. The APY-9 radar, exclusive to the E-2D, has the capability to “see” greater numbers of smaller targets at a greater range. The APY-9 was specifically designed for Cruise Missile Defense (CMD) and integration into the US Navy’s Naval Integrated Fire Control—counter air architecture. The state-of- the-art radar with a two-generation leap in capability will provide the most technologically advanced command and control capability in the world, with the ability to collect data and supply information to naval and joint forces well ahead of engagement. The E-2D is capable of synthesising information from multiple onboard and offboard sensors, making complex tactical decisions and disseminating actionable information to joint forces in a distributed, open-architecture environment. The new rotodome allows for three modes of operation including an electronically scanned array. The Advanced Hawkeye provides critically important, continuous, 360-degree scanning, while allowing the operator to focus on select areas of interest. The most noticeable change in the aircraft is the glass cockpit. The 17-inch liquid crystal display panels provide the co-pilot the ability to become a fourth tactical operator when not actively engaged in flying the aircraft. The new commercial-off-the-shelf-based mission computer allows for rapid tech insertion and upgraded aircraft systems that will improve supportability and increase readiness. SP’s: Why is E-2D called game changer? Culmo: The E-2D is a game changer because it is bringing new sensor, command and control, and integration capabilities to the fleet, revolutionising the way AEW&C and BMC2 platforms will be used. It acts as a force multiplier, making friendly forces even more effective. It will change the way the battle is fought providing information dominance for the operator. SP’s: What has been the operational track record of the Hawkeye since its inception? Culmo: The E-2 Hawkeye took its maiden flight in October 1960 and entered service with the US Navy in 1964. It has been in the service of air forces and navies around the world for over 25 years. The Hawkeye has supported these forces whenever the need has arisen and is considered by the US Navy as an absolutely essential platform in support of current operations in both Iraq and Afghanistan. As a multi-mission platform, the E-2 Hawkeye provides commanders situational awareness they require during battle as well as peacetime missions, such as humanitarian relief efforts. SP’s: What kind of operational success Hawkeye enjoys in the US and which are the other customer countries? Culmo: There have been 205 new production E-2 Hawkeyes manufactured and delivered to the US Navy and our international allies. 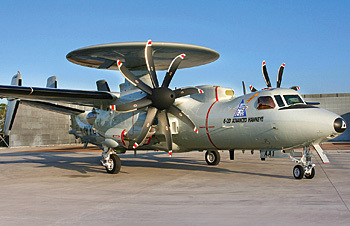 The US Navy currently operates 66 E-2C Hawkeye aircraft. E-2 Hawkeyes are also operated by the Japanese, Egyptian, Taiwanese and Singaporean Air Forces as well as the French Navy. We have a variety of current and new international customers interested in bringing the E-2D’s capability to their country. We would expect our international customers to take advantage of the production capabilities and economies of scale that we have in place in St. Augustine, Florida, and closely align their delivery decisions once the US Navy has completed its operational evaluation. Questions regarding the specifics of the export configuration would be based upon the specific requirements and export licences of the individual countries. 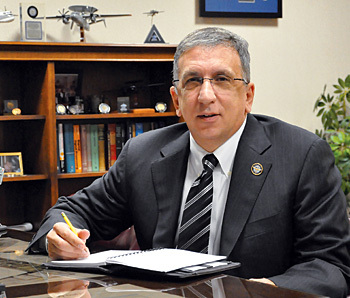 SP’s: Is E-2D fully operational? Has this been deployed by the US Navy? Culmo: Since taking its maiden flight on August 3, 2007, the E-2D Advanced Hawkeye programme has consistently met or exceeded all key programme milestones. The E-2D is nearing the completion of its initial developmental flight test and has recently conducted its first carrier landings aboard the USS Harry Truman. There are four E-2Ds continuing flight testing with the US Navy. In July 2010, the US Navy took delivery of the first fleet aircraft which is currently being utilised as an aircrew and maintainer training platform. The programme is on track for initial operational test and evaluation, scheduled for 2013 with initial operational capability scheduled in 2015. SP’s: What kind of contribution E-2D will make towards the global objectives of the US operators? Culmo: In addition to performing the current E-2C roles more efficiently and at longer ranges, the advanced Hawkeye will also be the central node in the US Navy’s emerging network-centric warfare concept. 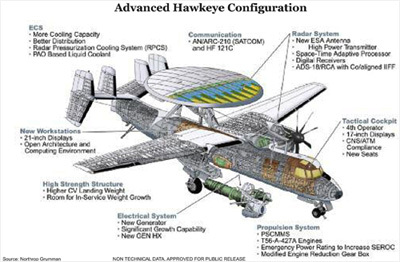 SP’s: Does the E-2D Hawkeye have AESA radar mounted on top of the fuselage or is it still equipped with conventional radar with mechanically rotating antenna? Culmo: The APY-9 radar has an electronically scanned antenna (ESA), and has the capability to “see” greater numbers of smaller targets at a greater range. The APY-9 was specifically designed for cruise missile defence (CMD) and integration into the US Navy’s Naval Integrated Fire Control—counter Air architecture. The state-of-the-art radar with a two-generation leap in capability will provide the most technologically advanced command and control capability in the world, with the ability to collect data and supply information to naval and joint forces well ahead of engagement. The new rotodome allows for three modes of operation including an electronically scanned array. The advanced Hawkeye provides critically important, continuous 360-degree scanning, while allowing the operator to focus on select areas of interest. SP’s: What are Northrop Grumman’s plans for further development of the E-2D Hawkeye in the distant future? Culmo: In partnership with our US Navy customer, the E-2D has a continued growth path and technology insertion plan as has been done with the current E-2C fleet. Several key areas of future focus include, in-flight refuelling, extended range fuel tanks and continued evolution of sensors and systems. 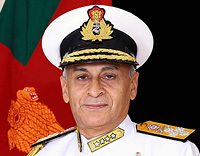 SP’s: We believe E-2D is being proposed to Indian Navy. What kind of response/impression has the Indian Navy conveyed to Northrop Grumman in this context? Culmo: Last summer, the Indian Navy issued a request for information (RFI) for carrier based AEW&C aircraft which Northrop Grumman responded to. We are in dialogue with the Indian Navy on their requirements. SP’s: What all missions’ capabilities E-2D proposes to contribute towards the objectives of Indian Navy? Culmo: The US Navy and Indian Navy share many similar mission requirements in the maritime environment, and as such, we expect that the Advanced Hawkeye will continue to be of interest to the Indian Navy. SP’s: Has the US Government formally cleared the proposed sale of E-2D to the Indian Navy? Culmo: The E-2D has been approved for export to the Indian Navy. SP’s: Do you foresee any issues pertaining to operational compatibility between E-2D Hawkeye and MiG-29K of Russian origin operating from the new Russian aircraft carrier to be inducted in the near future by Indian Navy? Culmo: With the required communications suite, there should be no interoperability issues between E-2D and MiG-29K. SP’s: Would the Indian aircraft carrier require any special features or modifications for the E-2D Hawkeye to operate from its deck? Culmo: In the current configuration of E-2D, the Indian carrier design would require installation of a catapult compatible with the advanced Hawkeye. The E-2D, however, is capable of supporting the existing Indian carrier fleet from shore bases as the Indian Navy resolves its carrier requirements for future carriers, which according to reports is what the Indian Navy is considering. SP’s: Have the navies of the US and India ever carried out a joint exercise involving the employment of the Hawkeye AEW platform and if so with what results? Culmo: The US and Indian Navy have conducted annual exercises for many years and occasionally the US navy incorporates E-2 operations in these exercises. SP’s: What kind of commitment Northrop Grumman would like to convey to Indian Navy in the event the E-2D Hawkeye is selected by India? Culmo: Northrop Grumman has a strong relationship with India, going back many decades. It is built on a legacy of trust and performance. Our desire is to support existing and future programmes with the Indian armed forces, and we fully intend to partner with Indian industry while making the E-2 programme, as well as others, successful for the life of the programme.